Jonas & Driscoll L.L.P reports: A federal jury awarded $5 million in compensatory damages plus $1 million in punitive damages to a man who was falsely prosecuted by two Sheriff's Deputies after they brutally beat him breaking his eye socket. The deputies brutally beat Mr. Dirks and then tried to put him in Prison for 10 years based on false allegations. The jury verdict was based on the level of emotional injury, physical injury and the damage they caused to our justice system. In the evening hours of April 12, 2012, in the United States District Court, Central District California, Los Angeles, the Honorable Judge Otis Wright presiding, the jury in Deon Dirks v. Robert Martinez, Case No. CV -08-05214, after a three-day civil rights trial, issued a verdict in favor of plaintiff for $6,000,000; ($5,000,000 in compensatory damages, and $1,000,000 in Punitive damages). The jury found both individual defendant sheriff deputies liable for excessive force and malicious prosecution and awarded punitive damages against each individual officer in the amount of $500,000. The defendant deputies are Sgt. Pablo Partida and Deputy Robert Martinez. The jury found that both defendants acted with malicious intent. According to case documents, the case stems from a routine traffic stop on Wilimington Blvd., Compton, at 9:00 a.m. on Sunday November 4, 2007. Defendant Deputy Martinez entered Dirks car from the passenger seat, slapped the hat off of his head and ordered him out of the car. When Dirks exited the car, Deputy Martinez yanked his right arm causing extreme pain, pepper sprayed him in the face, and Deputy Partida grabbed Dirks' left arm. With the deputies holding Dirks' hands behind his back they began punching him in the face. They then slammed him face first into the sidewalk with his hands behind his back. Mr. Dirks was then kneed in the face 10 times in a row while is hands were held behind his back. Mr. Dirks suffered a blown out orbital fracture to his left eye socket among other injuries. He was then arrested and subsequently charged in criminal court with assault on a police officer, using force to resist arrest and resisting arrest. The criminal jury hung in favor of finding him "Not Guilty." Three months later all charges were dismissed against Mr. Dirks by D.D.A "Bobby" Zoumberakis. After the dismissal (TA 093733 -- 07/14/2008), plaintiff's attorneys Glen Jonas and Christopher Driscoll filed a lawsuit on behalf of Mr.Dirks against the Los Angeles County Sheriff's Department and the individual officers for deprivation of civil rights, including excessive force and malicious prosecution. The defendants offered only $10,000 to settle the case. During trial, the plaintiff argued to the jury that the individual defendant deputies wrote false police reports, submitted them to the District Attorney and then lied in court under oath in an effort to send the plaintiff to prison for crimes they knew didn't exist. The jury in its verdict agreed, finding the individual deputies liable for excessive force, malicious prosecution and acting with Malice. Lead trial counsel in the civil rights action was Glen T. Jonas and Christopher Driscoll (from the law firm of Jonas & Driscoll). 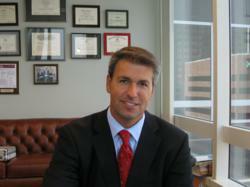 R. J. Manuelian was the attorney who successfully defended the plaintiff in the original criminal matter, enabling the firm of Jonas & Driscoll to follow up the victory with a civil rights action against the defendant police officers. The law firm of Jonas & Driscoll, the plaintiff, and R.J. Manuelian are grateful to JUDGE OTIS WRIGHT and to the jury for their hard work in this matter. If you need further information, contact Glen Jonas at 213-683-2033.